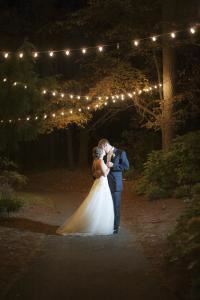 We are an Artsy Ecclectic Wedding Photo & Video company. We put passion and enthusiasm into every ounce of our being to bring you the best and most out in your video and photo on your special day. We will work hard and together as a team to make sure that we capture the heart, soul and all around awesomeness of your day. Give us a chance! Meet with us for coffee (Our treat!) and see our fun stuff! Have a conversation with us over the phone. You will see from minute 1 that we are passionate and our drive for what we do will show through. We don't try to sell you on our stuff. We think our personality, passion and our drive sell itself! Message us. Let's get this rolling. We look forward to hearing from you! I highly recommend Jessica in every way - from start to finished product we could not be more pleased with our experience and pictures! She is a lovely person and extremely talented photographer, which is exactly what you want for your wedding!! This was a beautiful day for a wedding at a beautiful venue. Jessica my photographer captured the essence of the day. Incorporating every little detail of the day. The pictures were beautiful. You captured our happiness and celebration of love on camera. My friends and family cannot stop singing your praises. You felt like a part of the family on my wedding day. Thank you for making our day special and our pictures so beautiful.